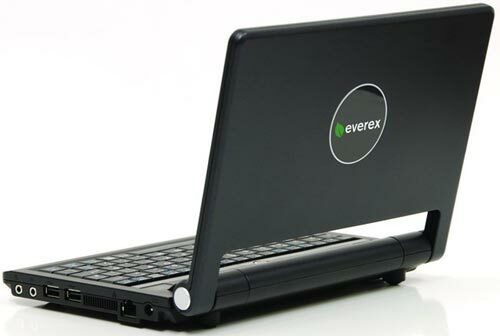 Everex has officially announced the Cloudbook Linux UMPC at this years CES. This tiny Linux powered PC has its sights on the hugely popular Asus Eee PC. It measures 9 inches long and only weighs 2 pounds. 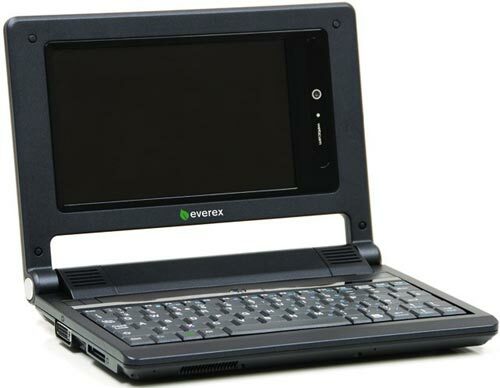 It has a 7 inch screen with a resolution of 800 x 480, a 1.2GHZ Via C7-m ULV mobile processor, 512MB of ram and a 30GB HDD. There is also built in WiFi, a 4-in-1 card reader and a a 1.3MP webcam. It will run gOS (A Google themed version of Linux), and is reported to have a battery life of 5 Hours. The Everex Cloudbook will go on sale for $399.